We’re all trying to figure out how to do better business, but it can be hard to find the time to sort through all of the articles, videos and information on the wide-ranging subject. That’s where TED Talks come in handy. 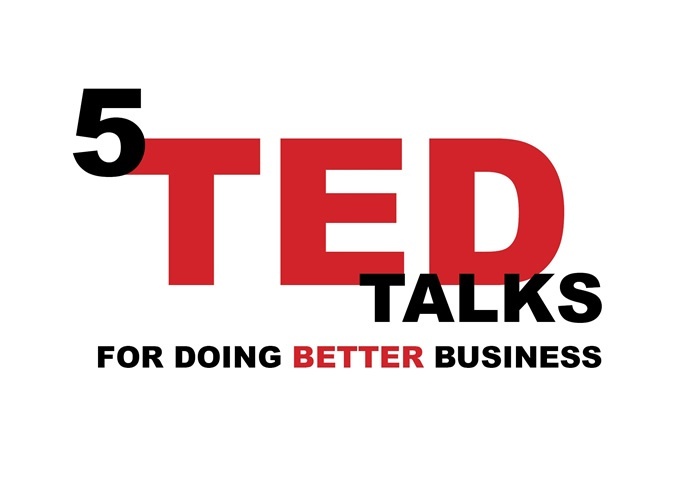 The following is a list of five TED Talks - all under 20 minutes - that will help you think about the way you do business, and inspire you to be more innovative, creative and proactive - everyday. Difficult decisions are a reality for every business person. Whether you’re deciding who to hire, who to fire or what your next investment will be, these important choices can shape the future of your business. If you struggle with making up your mind, or you just feel like you need an outsider’s perspective, this is the TED Talk for you. Ruth Chang offers invaluable insight into making tough choices, and coming to terms with those decisions once they’re made. Simon Sinek wants you to think outside the box. Way outside the box. In his TED Talk, Sinek uses Apple as an example for why thinking completely differently than everyone else is one of the best moves you could make for your business. In clear and simple terms, Sinek breaks down why you shouldn’t be trying to sell to people who want what you have, but rather, to those who believe what you believe. It’s in our nature to avoid conflict, but as Margaret Heffernan points out, conflict can be what fuels companies to be great. If you’re constantly surrounded by yesmen, you’ll never live up to your full potential because no one will ever challenge you to think further, deeper or more creatively. This is an essential TED Talk for any business person in the process of building their team or looking for a partner. In this TED Talk, Adam Grant makes a surprising case for the benefits of procrastination. He shares his experience of forcing himself to procrastinate on a book he wrote and the positive outcomes that followed. He breaks down the two different kinds of doubt and encourages people to not only listen to their doubts, but also to explore them. This is a must-watch for anyone looking for a little creative inspiration or some reassurance that your procrastination isn’t as big of a problem as you thought. Most of us could use an extra dose of humility, and Tim Harford makes an important argument for why putting aside your ego can be a great business move. Problems are solved everyday through the simple process of trial and error, but only if you’re brave enough to fail, and try again. Watch this one if you’re either doubting yourself, or if you’re starting to feel a little too big for your britches.